Magic Clean Whistler was created in 1997, by a long time Whistler local who saw the need for a professional cleaning service that would go the extra mile and be there for our customers. Whistler does not work on a regular nine to five schedule and neither do we! We will be there ready to work when you need us, and the last thing you will need to worry about is the quality of our service. We have grown from our humble Whistler origins, and have become a full service cleaning company capable of taking on the largest of commercial jobs, or the most straight-forward of tasks in making someone’s home beautiful, when they simply may not have the time. All of our cleaners at Magic Clean take pride in what they do. Each one is been trained by the owner, and completes the cleaning according to our specific high set of standards. We offer our services in Whistler, Pemberton and Squamish. The owner has lived in the Whistler valley for over 20 years, and has acquired both the track record and the experience to ensure that your home or office is cleaned to the highest professional standards. If you are looking for a discrete and truly reliable Whistler cleaning service, look no further than Magic Clean. All of our cleaners are bonded and insured. They are fully trained and professionally uniformed. We take great care to screen and hire only the best and most qualified of cleaning candidates. Our cleaning staff will meet with you at your home or office, walk through your property, and determine preciesly what needs to be done. After the cleaning has been completed, we will again go back from room to room to determine if our our cleaning has been done to your satisfaction. We also offer a convienient on-line ‘Project List’, where you can submit in advance a detailed work order for our review and execution. Whistler does not work on a standard 9 to 5 work day and neither do we. Simply let us know when you need your home or office cleaned, and we will be there, guaranteed. 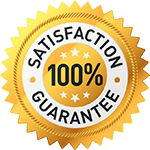 We guarantee all of our work and if you are not satisfied, we’ll keep at it until you are! Contact Magic Clean Whistler for all your home and office cleaning needs.